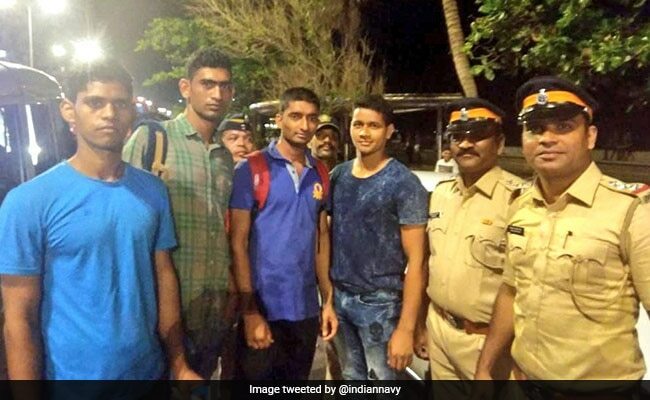 Marine Drive, Mumbai: On seeing a man drowning in the sea, the sailors jumped into the waters and pulled him out, a Navy release said on Tuesday. A man was saved from drowning in the Arabian Sea near Mumbai's Marine Drive by sailors of the Indian Navy. Three Navy sailors noticed people gathered at a spot near Marine Drive on Sunday. On seeing a man drowning in the sea, the sailors jumped into the waters and pulled him out, a Navy release said on Tuesday. The man was administered cardiopulmonary resuscitation and after he regained consciousness, the sailors handed him over to the local police, the release added.